When serving as ambassadors for Christ, we are asked to serve with everything we have because that is how the Lord Jesus serves and cares for us. This calls on every part of our being – body, soul, and spirit and is a beautiful act of worship. Follow the Liberty E Free team as they are the hands and feet of Christ for those around them. Today was a good day! We all got to finally sleep in and have some fellowship before church! For breakfast, we had delicious French toast made by Craig. The cooks have Sunday’s off so the MH4H team steps up and does the cooking. Around 9:30 am we loaded up and headed to the small church a few miles away. Hannah finally got her motorcycle ride which she has been longing for this whole trip! 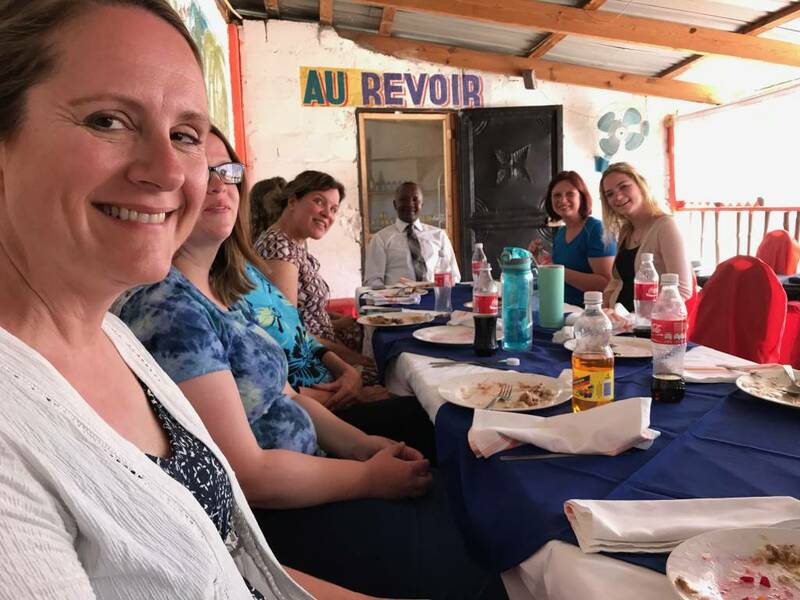 When we arrived at the church, and promptly ran into a man from Orange City and family of five from Grand Rapids, MI who live and serve in Haiti with another ministry. It felt like a small world. The church is modest but offered shade and plenty of seats. A man went up front and started the worship. All the Haitians have the songs memorized. We had hymnals so we “sang” along with them. It was incredible to watch the men and women raising their hands and singing praises to God. The kids were dressed in their best clothes- dancing and singing along. A man who goes to the church made a homemade instrument out of a glass bottle and PVC pipe. He loves to play it at church on Sunday mornings. The words were unfamiliar, but the sprit of God was in the building and the praise songs lifted the roof. Our group was asked to share a song for special music (somewhat a surprise). 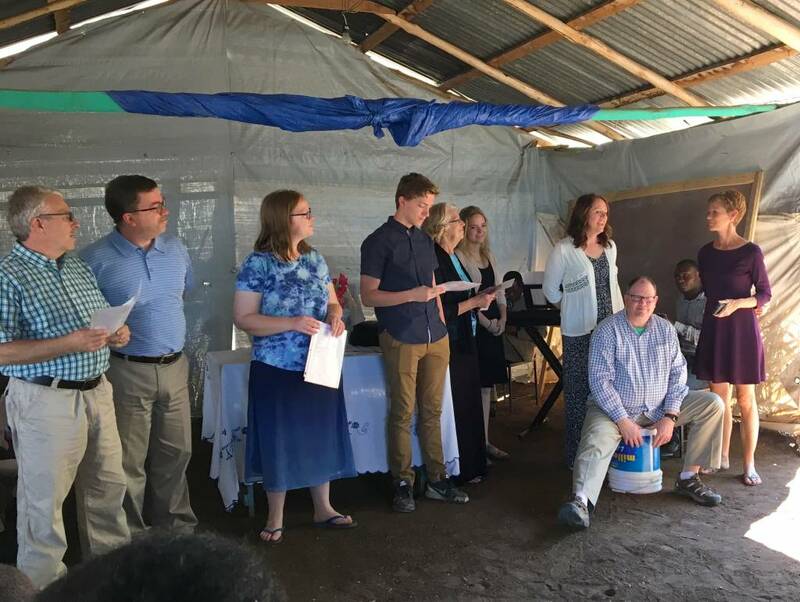 Kim played the key board, Pastor Dane played percussion on a 5 gallon bucket (use what is available in Haiti) and the rest of us sang “Good Good Father”. Such a powerful song for what was to come in the sermon. We read Romans 12:1-2. The Pastor talked about how we must give everything to God. He said that we need to give him all five of our senses and that we have three parts of our being, the body, the soul, and the spirit. Thankfully, we had Liz (MH4H staff member) to translate what he was saying because he was speaking in Creole. When the sermon was over, we prayed and then got to greet one another. Many people come to say hi and have small talk. Then we headed out again and drove into town. We had a wonderful lunch at a small restaurant. 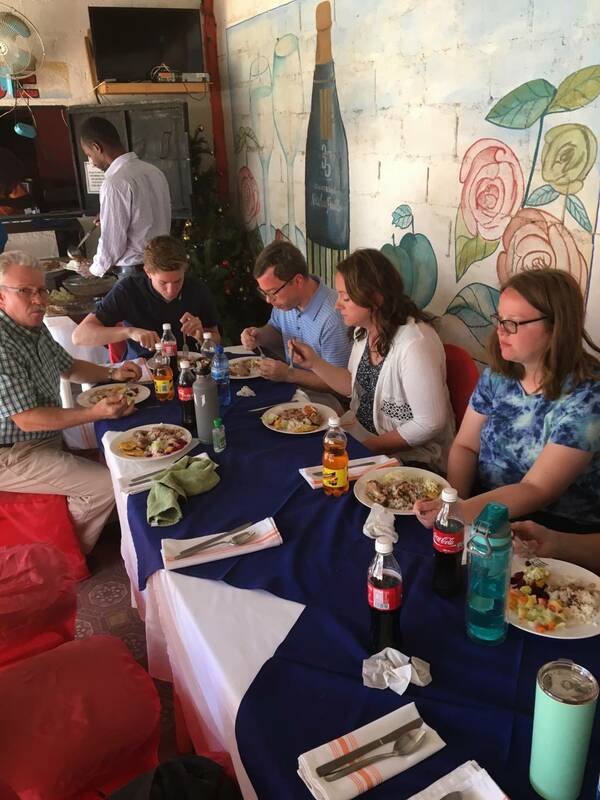 The people who repaired the food had a room with a long table with a nice table cloth and chairs for everyone. It was a good time of fellowship and sharing stories. As we left the restaurant we had a pleasant surprise meeting a man who had received a PET cart two years ago. 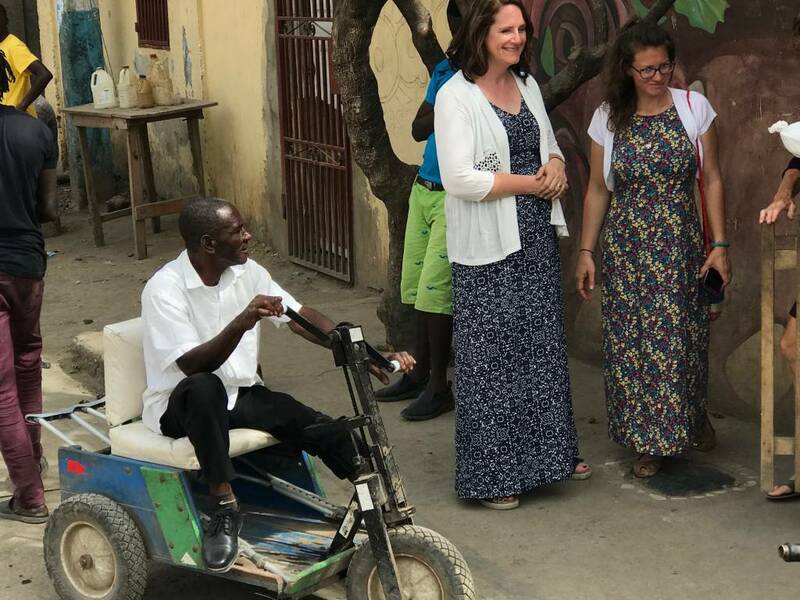 The PET cart ministry provides hand driven carts for those who cannot walk. We asked about his story, it started with an infection in his foot, treatment was not available, so it needed to be amputated below the knee. He was given a PET cart which he “drives” a mile each day to his garden where he works almost every day. 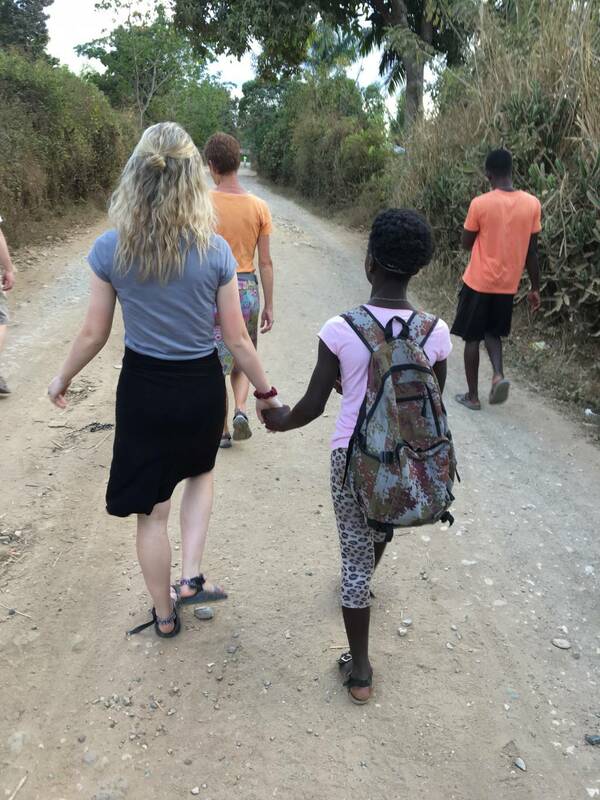 It’s a small picture of what life in Haiti is like. After lunch we changed clothes and headed to an orphanage to play with kids for the afternoon. 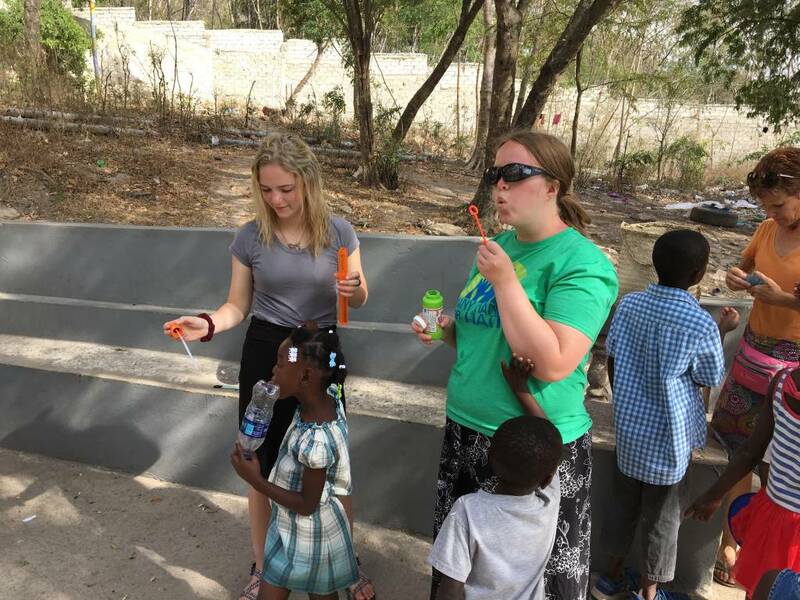 We brought bubbles, nail polish, a large jump rope, soccer ball, xylophone, chalk, and a unicycle (only Christy has a unicycle in Haiti and is teaching the kids to ride). For a few hours we played, hugged, smiled, and chased the kids around. Then we gave each snack and drink and loaded back up. 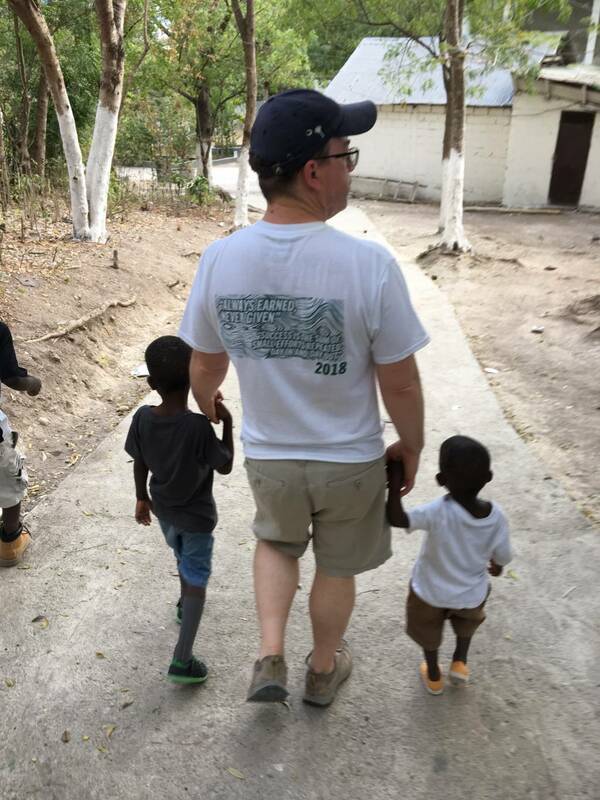 As we rode back, we talked about talked how, because of specific circumstances, the children we played with did not a chance to be adopted. 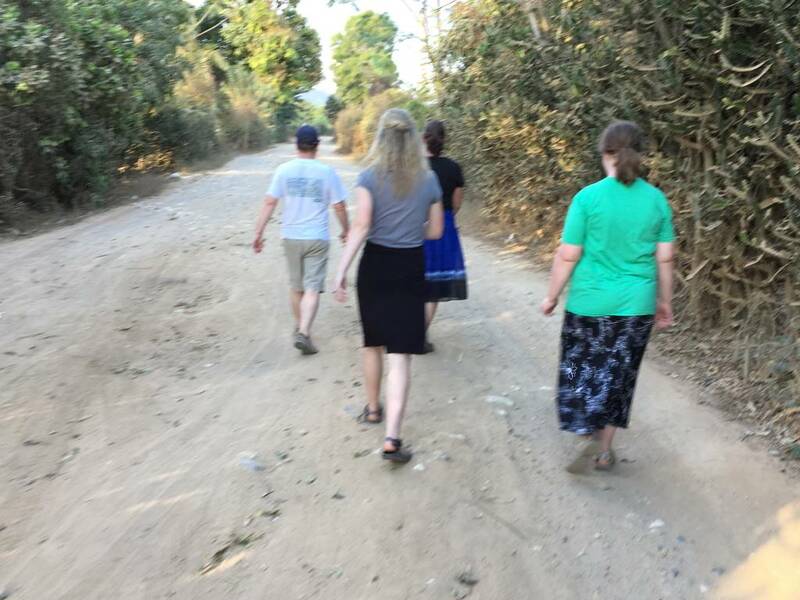 After a quick break back at the campus we headed for a neighborhood walk around the MH4H campus. It was a beautiful Sunday evening so families were in the front yard and kids were playing as we walked by. MH4H has been serving this community for several years and we were warmly greeted. When we returned to campus George and Gabe stared a soccer game and the neighborhood swarmed the open field and playground. It was a great chance to interact and put love into action- a theme we have been trying to live out this week. As the sun went down we gathered for highs and lows. 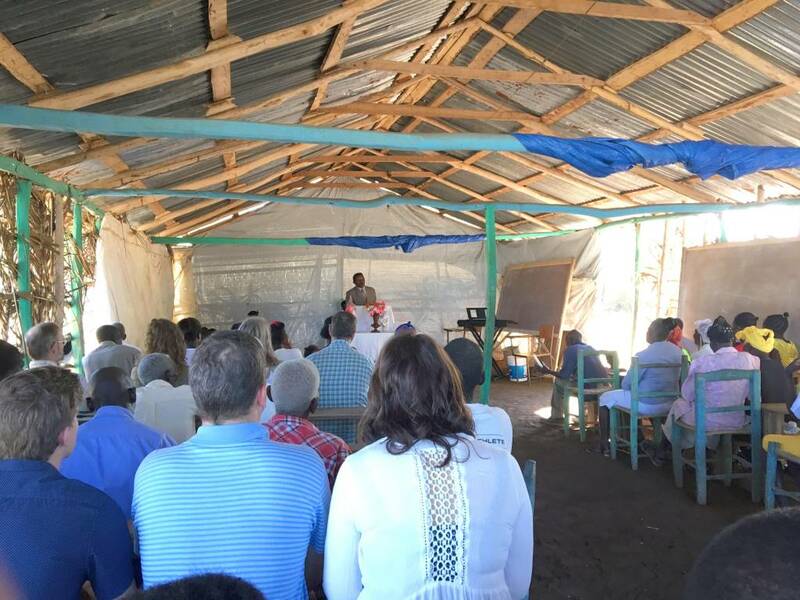 The church service was a highlight for everyone- being able to worship in a different language but to the same heavenly Father. 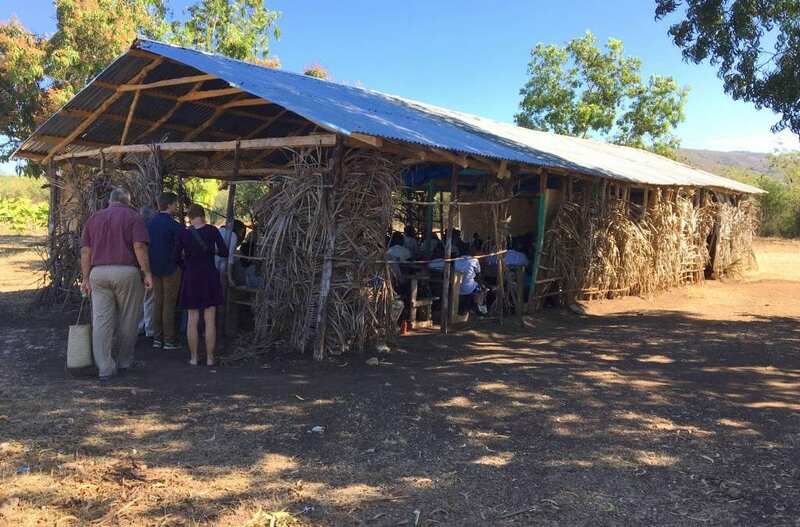 Knowing the orphanages in Haiti are full but the kids are not trying to be placed was a low almost everyone shared. Another day of experiencing the joys and struggles we see in Haiti. 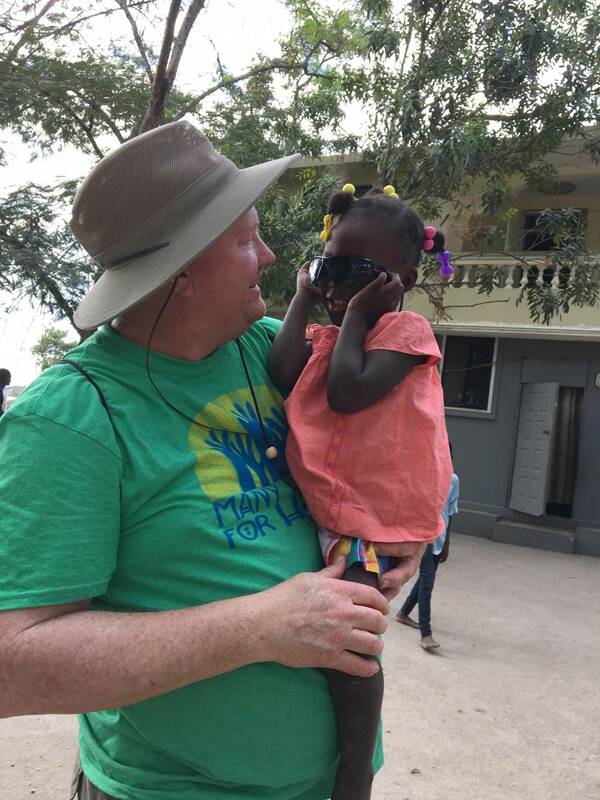 Blessings to everyone from Haiti, we continue to put love in action in the name of our risen Savior- Jesus Christ.